Categories: Bookish & Random Thoughts | Tags: 2014 books, Bookworm Diaries, new book discoveries | Permalink. 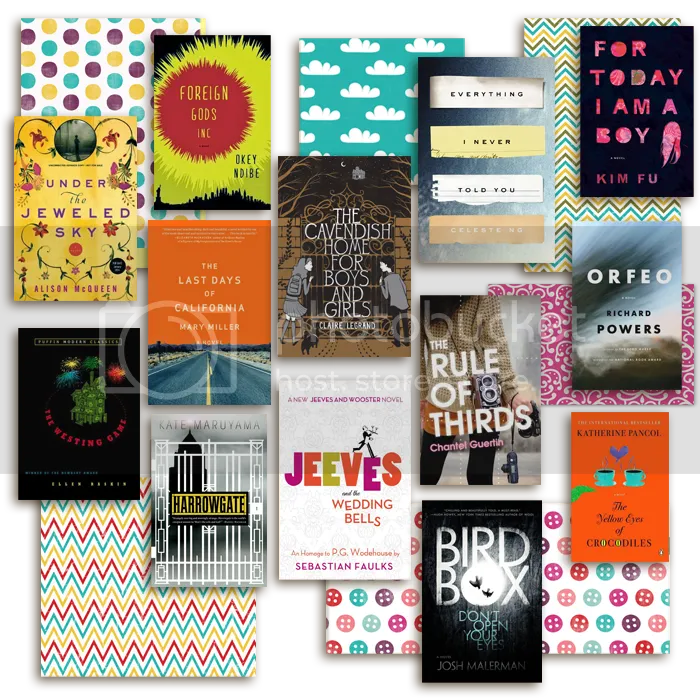 Categories: Bookish & Random Thoughts | Tags: A Life in Men, Archetype, Bookworm Diaries, Boy Snow Bird, Daniel Price, Elizabeth is Missing, Emma Healey, Gina Frangello, Helen Oyeyemi, M.D. Waters, Nathan Filer, Peter Swanson, Rebecca Mascull, Susan Minot, The Flight of the Silvers, The Girl With A Clock For A Heart, The Shock of the Fall, The Swan Gondola, The Visitors, Thirty Girls, Timoty Schaffert | Permalink. I’ve been enjoying some good books lately and I’ve pretty much started with my reading challenges this year. It’s a great start to the new year and I’m looking forward to reading more wonderful books soon. So far, I’ve read four books: The Good Lord Bird by James McBride, The Giver by Lois Lowry, Ring by Koji Suzuki and Watchmen by Alan Moore (writer). So far, I’ve liked them all. I’m a bit behind with my reviews but that’s okay. I do not want to pressure myself. I think it’s great that I was able to read four books already considering that I’ve been busy these past few days. I’m not sure if I can keep up with my reading pace in the following weeks as I’m expecting things to get a little more hectic. I’ll still commit 30-minutes of reading a day though. A book a day keeps the boredom away. 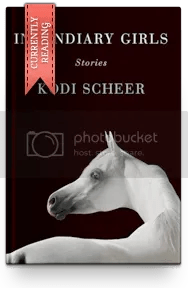 I’m currently reading “The Memory Keeper’s Daughter” by Kim Edwards for the 2014 TBR Pile Challenge and the Book-To-Movie Challenge. Also, I joined January In Japan’s Readalong for “The Diving Pool” by Yoko Ogawa. So far, I’m really enjoying the literary ride to Yoko Ogawa’s rather dark world, which I wasn’t really expecting when I got the book. You can read Tony’s (Tony’s Reading List) review here and Joanne’s (Booklover Book Reviews) review here. Speaking of January In Japan, there’s a giveaway every week for those who are interested. Currently, they’re giving away “Light and Dark” by Natsume Soseki (I have Natsume Soseki’s “Kokoro” but I have not read it yet). The introduction to new authors is my favorite part of the blog. For those who are interested in discovering new books and new Japanese authors, then a visit to January in Japan will be a delight. As for the blog, I’ve been making a lot of changes lately. Every “Notable Quote” post now consists of individual quote boxes as I’m now using a really useful app called Notegraphy. I’ve also featured new book reviews in the sidebar. I’ve also indicated the books that I’m still reviewing in my mind haha. I hope this will help visitors find the latest reviews faster. Every review I will post from now on will also have a section called “FIVE BOOKS“. In this section, I will try to recommend new books based on the genre of the book I reviewed and/or maybe books mentioned in the book. I hope this will help you find your next read. Now’s the great part of this post: books! I’ve discovered a lot of books this week, thanks to the blogs I follow. Do I hear a collective sigh about adding more books to an already enormous TBR list? Well, I’m pretty sure that’s a good, satisfied sigh that all book lovers share. Foreign Gods Inc. by Okey Ndibe is one of my most anticipated books for 2014. When I read Tanya’s review, I’m much more convinced to get this soon. Under the Jeweled Sky by Alison McQueen is another book I discovered from Tanya’s blog. You can read her review here. I like tragic romance (most of the time) so let’s see if I’ll like this. I like creepy reads (R.L Stine’s Fear Street, anyone?) so when I saw The Cavendish Home for Boys and Girls by Claire Legrand in Adriana’s blog, I got pretty excited. One of the things I’d like to try reading more this year are books for middle grade children. I’ll be reading this book once I get it, along with Navigating Early and Flora and Ulysses. I also discovered The Rule of Thirds by Chantel Guertin from Adriana’s review. I love books with photographer characters. One of the books I read a few years back was The Lotus Eaters by Tatjana Soli. I love the horror genre so when I read Lisa’s (Bookshelf Fantasies) Harrowgate review, I added this immediately to my TBR list. Orfeo and The Yellow Eyes of Crocodiles are two books that I discovered from Joanne’s blog post at Booklover Book Reviews. While the book cover caught my eye immediately, For Today I Am A Boy by Kim Fu looks like an intriguing book after reading Leah’s review. Whenever I visit Shannon’s blog, I list down a few books to add to my list. This week, I listed down three: Everything I Never Told You, Bird Box and The Last Days of California. From Nishita’s Rants and Raves, I discovered Jeeves and the Wedding Bells by Sebastian Faulks. Did I mention I like books that make me laugh? Well, I do. When I commented on Sophie’s review of The Westing Game by Ellen Raskin about her getting me at ‘mystery’, I wasn’t kidding. Mysteries excite me, so much so that I find myself unconsciously reading a lot of mystery books and watching a lot of shows from the CI channel. Categories: Bookish & Random Thoughts | Tags: Book Recommendations, Books I Love app, Bookworm Diaries | Permalink.